the Virgin Mary opened as the second chapter of the popular shop in Koenji called “”Cult Party”. 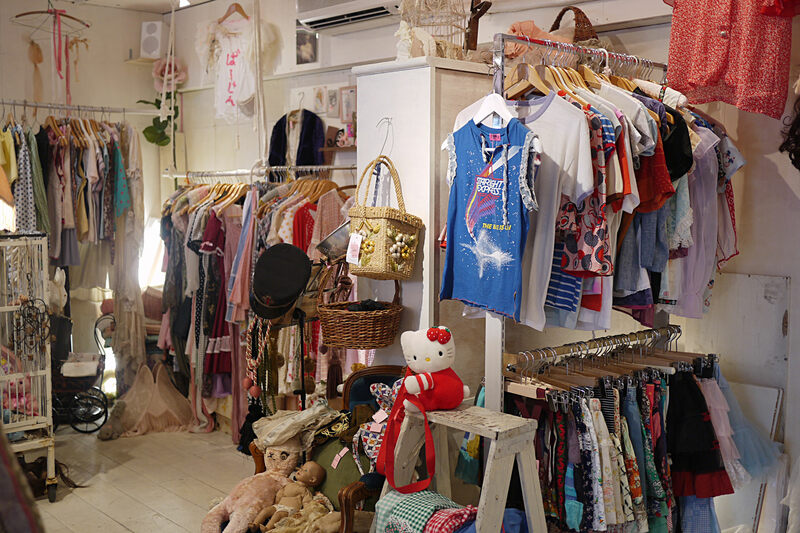 Under the concept “Eternal girl that creates the world”, the shop offers items from various times that pursue girliness based on unique worldview. Once you step inside the shop, you will feel as if someone’s toy box has been spilled all over the place! They also deal with brands hand-made by young designers in addition to used clothing.